Here’s the world’s largest video wall of its kind, the centerpiece of the brand new College of Informatics in Griffin Hall at Northern Kentucky University. It’s a fitting host for PodCamp Cincinnati, held Saturday, Oct. 22, 2011. Griffin Hall’s classrooms, public spaces, labs and the Digitorium, where the video wall is located, are packed with technology to make it possible to communicate and collaborate. That’s what informatics is all about — using technology to share, learn and work together. That’s what Podcamp Cincinnati is all about, too. 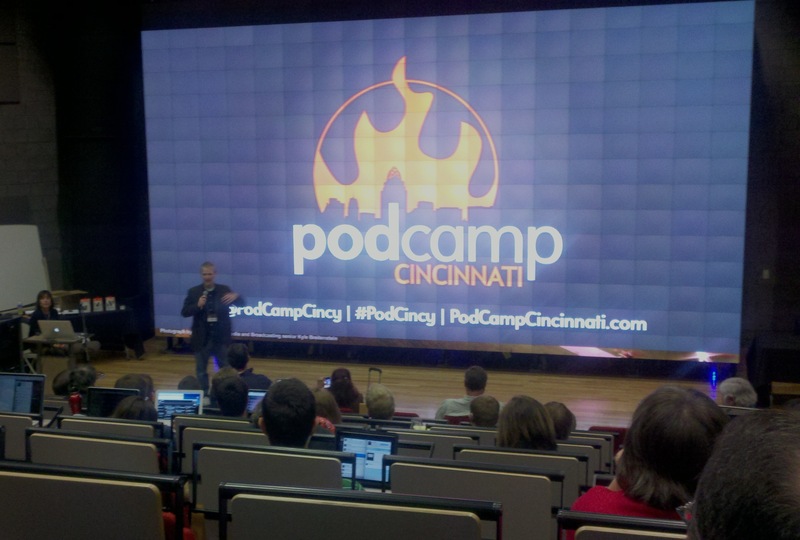 More Photos: See what PodCamp and the NKU College of Informatics offer. This entry was posted on Sunday, October 23rd, 2011 at 1:15 pm and is filed under Social Media. You can follow any responses to this entry through the RSS 2.0 feed. Both comments and pings are currently closed.